There is an interesting, critical and slightly disillusioned approach towards assessing pointification, recently published on Gamification.co and which generated a quick debate on the role of game designers as opposed to gamification experts. Steve Bocska is the President and CEO of Vancouver-based Pug Pharm Productions, a leader in customer engagement, retention, and activation. Bocska is mostly a game designer, as it appears from the discussion. He recently wrote a post on Gamification.co, one of the main resources for gamification ‘designers/experts’ (the debate is after all precisely about how to name such figure as opposed to a game designer). ‘If you’ve ever raised a skeptical brow at the notion that badges and points were a magic bullet solution to engaging communities, this article is for you. Not because I’m going to change your mind. But because I’m going to wholeheartedly agree with you – and hopefully give you some ammo to win your next argument with that newly-minted “Certified Gamification Expert”‘. Bocska is also very much concerned from an ethical perspective, and looks at gamification as a cheap version of game design, quite simplified and oriented at users’ engagement only, rather than providing fun and appealing experiences to the players. An approach which is not entirely new (sounds similar to the famous point by Ian Bogost about gamification as ‘exploitationware’). ‘[…] Part of the reason why I continuously insist that gamification is its own discipline — separate from, but similar to, game design — is that we have a major cross to bear. Our designs must not only be entertaining (which is hard enough) but also help people change their lives for the better, grow businesses, improve civic engagement, change the world, and make work more productive. In short, our challenges are generally much more complex, economically significant and — dare I say — meaningful than the work that preoccupies most game designers. It’s therefore more important than ever that we continue to refine our education and certification curricula. The case-based and practical approaches we’ve advocated work, and our industry continues to grow at a rate unmatched by most others in recent times. We are doing important and meaningful things, with generally high ethical standards. Certified gamification designers are among the best creators of experiences in the world, and with diligence this trend will continue. — check out the cases presented at GSummit 2013 for some examples. We have – in so many ways – transcended the surly bounds of “game design”, and there’s no reason to turn back now’. What is quite interesting in this debate is Zichermann’s focus on the ‘work’, in bold. This is in a sense the alleged difference brought by gamification. Arguments similar to Bocska’s have been heard in the past, but Zichermann has an interesting way to answer it. In other words, Zichermann’s point (which is not an answer to Bocska really) is that gamification is not game design, or better it is game design ‘with an agenda’. This would still not make it different from serious games or games for change. The point is that gamification should be evaluated for its effectiveness. It is ‘working’, in achieving ‘complex, economically significant and meaningful’ challenges, for ‘the better’ (‘better’ here being what the ‘gamification expert’ has decided being ‘better’). Such challenges are allegedly the newness of gamification, and the meaningful side of such experiences, whatever that is, should answer to the ethical concern of many detractors. Doesn’t your graph suggest that good, solid gameplay will at best engage 20% of the potential market? In the current economic world of short-turn ROI, I am not sure if a “slow and steady wins the race” strategy will win you many supporters. 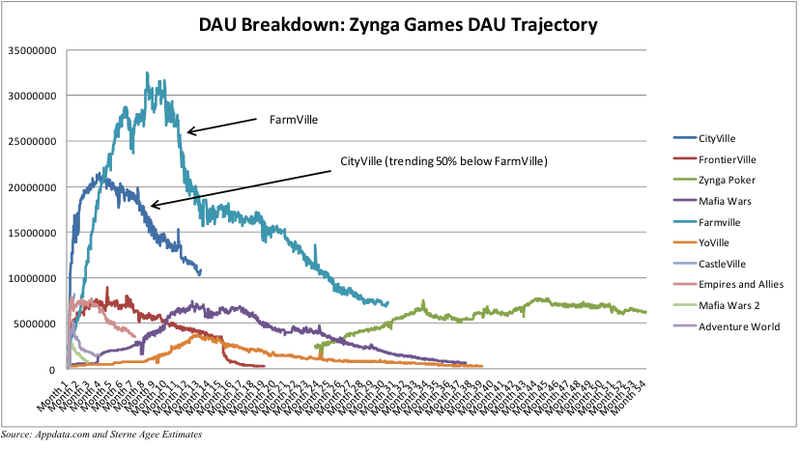 And additionally, it appears that Farmville may still be leveling off with more players than Poker anyway? Couldn’t you argue that although gamification led to a “boom,” it encouraged more players to try the experience and get hooked in the first place? Dear Richard, yes it could certainly suggest that – although this is probably a question you should ask directly to Steve Bocska! I guess his point was mostly that gamification is over-hyped, and brings to a series of concerns when we ask how users are actually attracted and engaged. As a game designer, his concern is that good quality design is somehow corrupted when the only goal is ROI. I can imagine that Bocska would answer your question saying that there is more than short-turn ROI in a game.